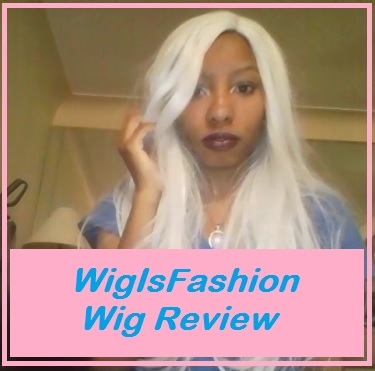 I just recently purchased a wig from WigIsFashion and I wanted to share with you guys my experience with purchasing from them. 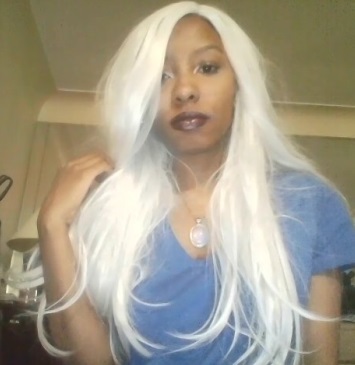 I have been watching this website for a while and I decided to just dive in and buy a wig from them because I was working on my Storm (X-Men) cosplay. Shipping took about two weeks which wasn't bad. I believe the package was dropped off by USPS. 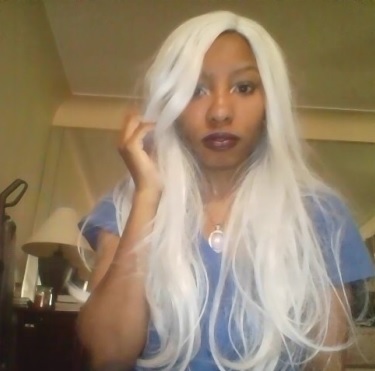 I do want to make a note that the shipping for this wig was $11 which seems like a lot, but it was worth it. The wig was shipped to me in a white polybag. The wig was tucked inside a ziploc bag and came with a wig cap. This is the 24 inch long straight silver grey fashion synthetic hair wig WIG097. I paid $24 for this wig. It is fairly long and surprisingly I do like the part that was created for the wig. It does not come with any combs, but it does have adjustable straps. I would suggest braiding your hair in french braids if you have thick hair like me.... Otherwise the wig will appear very bulky and less appealing. I have a pretty big head, but this wig did fit me without feeling uncomfortable. I have not attempted to apply heat to this wig, but it does say that you can. It does shed quite a bit. I find that straight wigs in general shed a lot which would probably be the only con for me. Let's recap and go over the important information. How long does WigIsFashion take to ship? Was the wig good quality? I'd say yes. Even though the wig I purchased shed a lot, it is a pretty thick wig and it is barely noticeable. I also like the part in the wig. If I add a bit of concealer to it, I feel like it would look more realistic. Would I purchase from WigIsFashion again? I would definitely purchase from this website again. I actually want about 10 other wigs from this website, but I'm trying not to go wild with buying wigs since I have a lot as it is. I will be reviewing the wigs I purchase from this website in the future. 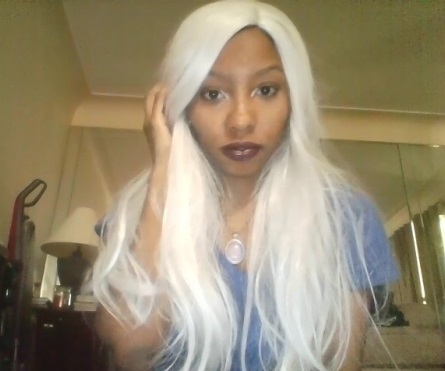 What do you guys think of this wig? What websites do you buy wigs from? Also don't forget to follow my Facebook Cosplay page for future cosplays featuring this wig.